The Dukha people are reindeer nomads. 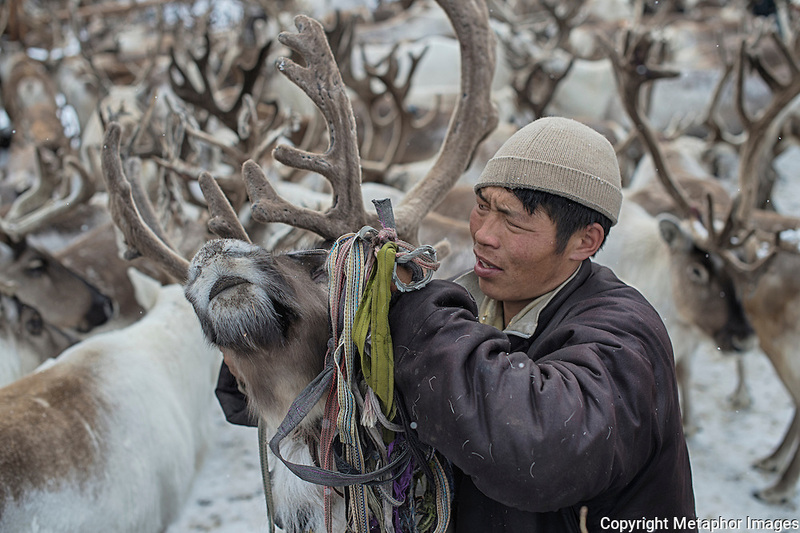 For thousands of years they have lived in the remote sub arctic landscape in northern Mongolia, known as the Taiga. They were here long before Gengis Khan united hostile nomadic tribes into an army which conquered history's largest imperium in the year 1100 . What makes them unique is that they are the only reindeer herding community who do not eat their own animals. The world has been standing still in these mountains, until now. The modern and urbane world has reached the Dukha people and it threatens them. At the same time the forests are getting smaller, commercial hunting has increased for the animals they eat and have shared with the wolves. The competition for deer, boar, moose and other wild species has changed the world of the Dukha. The consequences have been dramatic. There are just 44 families left in the barren landscape, and for the first time for thousands of years they have been forced to eat their own reindeer- their one and only source of income. The wolf is just as desperate. What used to be a harmonious coexistance, has become an intense fight for survival.The Dukha are, to varying degrees, facing threats to their cultural survival – the threat of transitions to market-based economies, tourism, global warming, language loss and assimilation into the dominant majority are changing their lives irrevocably.